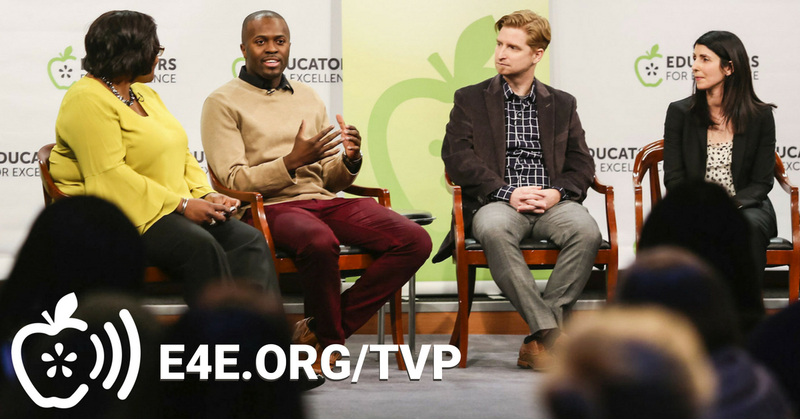 For teachers, by teachers, Teacher Voice podcast sits down with real educators to discuss the policies and issues that are affecting their classrooms, profession, and most importantly their students. Hosts Brendan Sargent and Cyndi Reyes talk to educators, lawmakers, community organizers, and other stakeholders about their own educational journeys, and about the myriad opportunities to advocate for educational equity at union, district, state, and federal levels. Released monthly, episodes will touch on topics that include the importance of union engagement, advocating for Dreamers and their families, promoting positive and healthy school climates, strengthening permanent status, and much more. 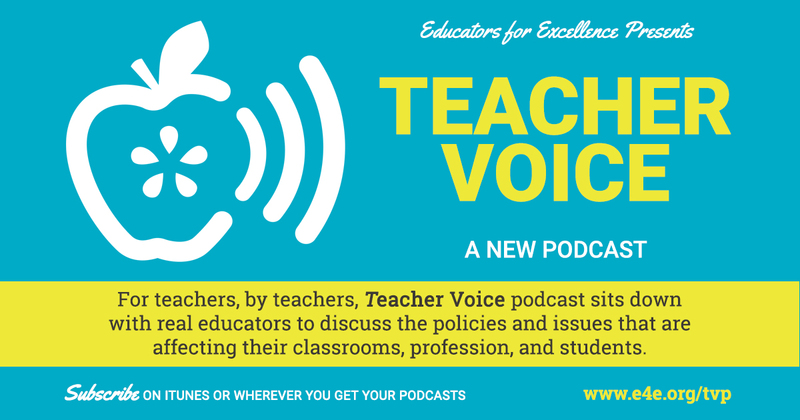 In this episode of Teacher Voice, Cyndi and Brendan chat with Misti Kemmer, a fourth grade teacher from Russell Elementary in Los Angeles, and Tynisha Jointer, a behavioral health specialist who works for Chicago Public Schools. The two educators discuss their own educational journeys, as well as their experience advocating in Washington D.C. as a part E4E’s #InClassNotCuffs campaign. The conversation zooms in and out, discussing the importance of the 2014 Discipline Guidance issued by the Obama administration and the potential consequences of rescinding it. Visit https://e4e.org/inclassnotcuffs for more information. In this episode of Teacher Voice, hosts Brendan Sargent & Cyndi Reyes dive deep into the issues surrounding California Assembly Bill 1220, also known as the Teacher and Student Success Act, which seeks to strengthen and preserve permanent status (also known as tenure) in the state. They interview Phylis Hoffman, a 25-year veteran educator in LA public schools, as well as the author of the legislation, California Assemblywoman Dr. Shirley Weber. This is our podcast. Well not yet. This is the podcast before the podcast. In this intro, we take a few minutes to tell you who we are, what this podcast is all about, and what you can expect from each episode. Listen and subscribe!